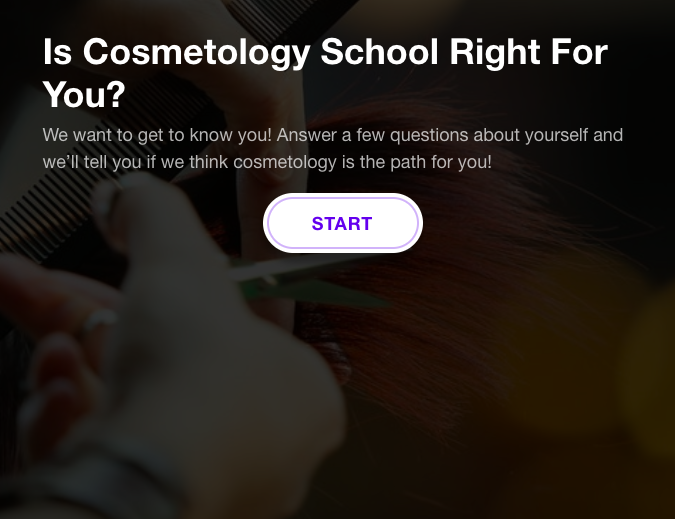 Is Cosmetology School Right For You? Take Our Quiz! It may seem intimidating to turn over a new leaf, but opportunity awaits! From owning a business to working at home, cosmetology is the place to start. Could your beautiful future begin with us? No matter what your dream beauty career may be, we may have just the place for you. What do you think of your results? Request more info here or stop by for a tour. We can’t wait to meet you! Explore your options and apply online today.